For products to stand out from the increasingly competitive and crowded marketplace, good design is critical. Design and innovation go hand-in-hand in the product development world; today’s corporate leaders recognize this and have learned to create innovative products that customers do not necessarily need, but love. 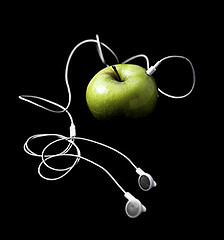 Apple’s iPod is an example of great design and innovation. It is a new idea that customers did not ask for. As Rucker says, “Good designers aim to move beyond what you get from simply asking consumers what they need and want.” He explains that good designers are those who can visualize things that have never been and have the ability to create their customer’s future visions. He also says that “for new ideas to survive and indeed thrive they have to be successfully embraced by all the relevant stakeholders.” We also learn that good designers don’t stop with the invention and turn their inspirations into reality. Good business design and innovation depends on two things: a customer-centric development process, and the ability to perceive future trends in order to create new value for customers. OneDesk allows you to gather feedback and new ideas from your customers. Its built-in collaboration tools facilitate and innovate the development process by allowing you and your team members to interact with customers and business partners and come up with new ideas for your product or service. Seeing that the ability to predict the future market environment is important, we are adding new features to the software that will allow companies to easily do this. Stay tuned! In the meantime, start improving your design and innovation process by trying out for free.